Essential Property Maintenance is a full service landscaping contractor serving the Calgary, Alberta. 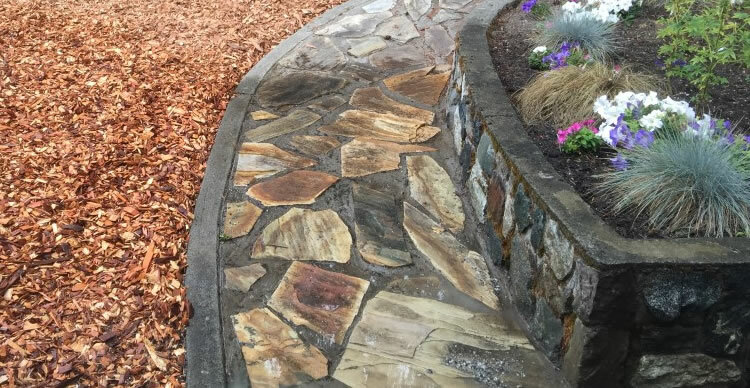 We specialize in custom landscaping construction projects such as building new garden beds, building a new patio, rock features, boulder arrangements, fences, and gazebos. We’ll transform your landscaping into whatever vision you have or we can even provide 3D design services if you’re stuck on ideas. Schedule Your FREE Calgary Landscape Construction Estimate Today! Are you looking to improve the look and function of your landscaping? Landscape construction encompasses everything from softscapes (trees, gardens, shrubs, plants) to hardscapes (rock, stone, decks, patios, retaining walls) and more. A beautiful landscape won’t just improve your curb appeal but it can contribute as much as 20% to the overall value of your property. Not sure what kind of landscape construction your property needs? Vary of hidden costs? We are here to help! Our FREE estimate allows clients to know ahead of time what costs to expect, before ever committing to a project with us. We are confident Essential Property Maintenance is the number one provider of reasonable Calgary lawn care prices. Don’t hesitate to contact us with any and all of your property maintenance needs. Our team of qualified professionals will happily assist you. Request a FREE estimate today! We can work directly with your landscape designer or architect or we can work with your own design plans you’ve drawn up on paper or roughly sketched out or we can even offer a 3D landscape design to help you envision and build the landscape you’ve always wanted. The first step is our initial consultation. We’ll listen to your project requirements. We will determine the scope of work, cost of materials and start-date. Essential Property Maintenance certainly uses specialized sub-contractors whenever appropriate. While we’re excellent at what we do (landscaping) there are certain specialized trades we’re just not as efficient as the contractors who do nothing but that one task all day. Irrigation systems are a great example along with property excavations too, they require very specialized knowledge and equipment. However, we are expert managers when it comes to landscape design and construction and we’ll be able to quickly assemble your dream team of landscaping professionals to complete any type of landscape construction project on your property, while we meticulously manage and oversee every aspect of the job through to completion. By using specialized trades for the tasks they do the best we’re ensuring that you end up with the highest possible quality of finished work. When it’s something as visually important as your landscaping, we think this is a pretty big deal.